I’ve been a long-time fan of OS X’s Time Machine – it’s sleek, simple, easy to use and it does its job without ever forcing me to looking for a different app. Well, the good news today is that we now have a similar application for Linux and it’s called Back in Time. It comes with the same kind of no-brainer usability, space-saving attitude towards your hard drive and ultimately an interface that will want you to use it and feel sorry you have to close it when you’re done. This is simply a must-install app for all Linux users out there. Let’s start with the why – apart from the heavenly built user interface that can help any backup newbie through the backup process, it comes with a documentation that will actually help the user rather than confuse him some more (as it is the case with most documentations). And it’s also friendly with those that haven’t been on the Linux platform for quite that long. This means that rather than letting the user figure out when root is needed for certain files, the application rewrites the rsync command and makes it accessible to everyone out there, and adds root privileges to its launch shortcut so you won’t have to figure out when it’s needed or not. Some might say this can easily be a security flaw, but then again, we’re talking usability and user-friendliness on a simple back-up application. The other great feature of Back in Time is that it doesn’t require any terminal commands, making it a blessing for those that got tired of figuring out the right command for everything. The settings simply make sense and it’s incredibly easy to navigate through the menus and figure out what you need next. 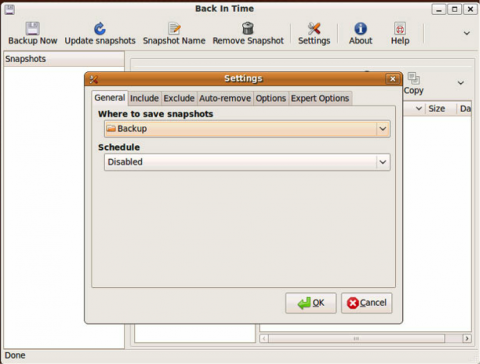 It doesn’t split backup options in a million menus that you need to double check countless times – it makes it all plain and simple in one menu. You can set up the amount of space it can occupy and it performs cleanups in case you run out of space. 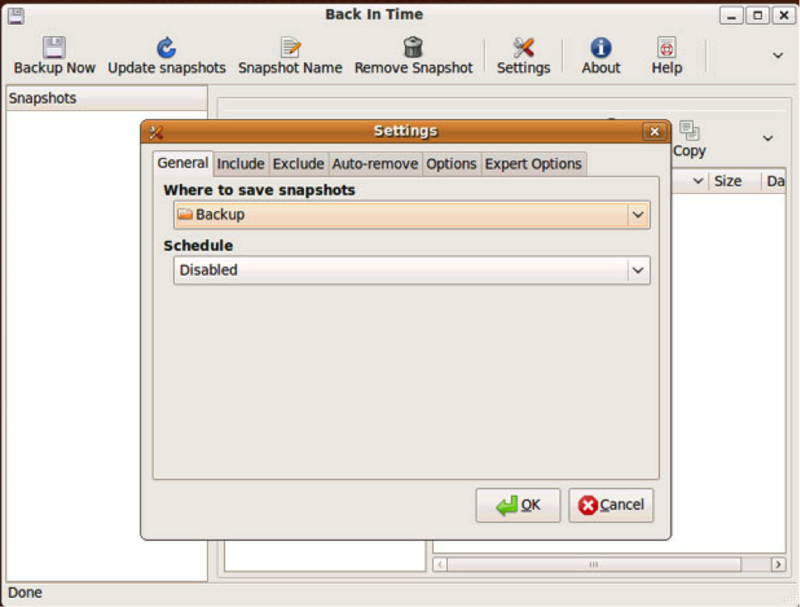 Back In Time is a wonderful, free, backup option for both Gnome and KDE and you’re going to get a blast out of using it.